“Between 30 – 50% of farmed fish in Southeast Asia, the largest fish producing region in the world, are lost to parasites. “We know that shrimp clean parasites from fish and if we can identify a species that does it efficiently, and does no harm, it offers a ‘greener’ alternative to chemicals,” he said. Mr Vaughan said scientists knew injured fish visited shrimp ‘cleaning stations’ to have parasites removed – but the question was whether shrimp then took advantage of the injured fish and fed on their wounds. 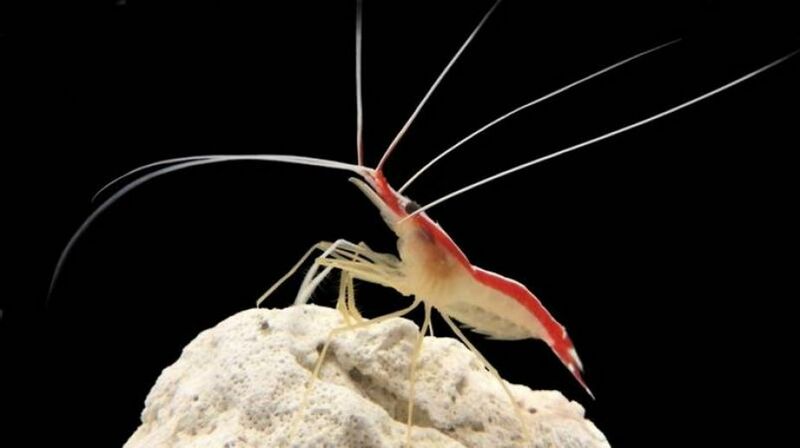 “We found that shrimp did not aggravate existing injuries or further injure the fish,” said Mr Vaughan.